Cross-platform tools are getting ultra-popular amongst the developer zone. The reason behind – fewer efforts and productivity! While engineering native apps for different platforms, developers are required to build, do QA, testing and a lot more for the app with same features and UI for every platform. It implies the waste of time and resources. Now, over 150 cross-platform tools are available in the market that is used for varied purposes like- gaming, business, etc. Tools like Unity 3d, unreal engine, Corona and a lot more have made engineering apps quite easy and simplified. Availability of plenty of CP tools often confuses developers as to which one to choose. Out of all, Unity 3D as a cross-platform game tool is the top choice for developers. What the heck is Unity 3D Engine? 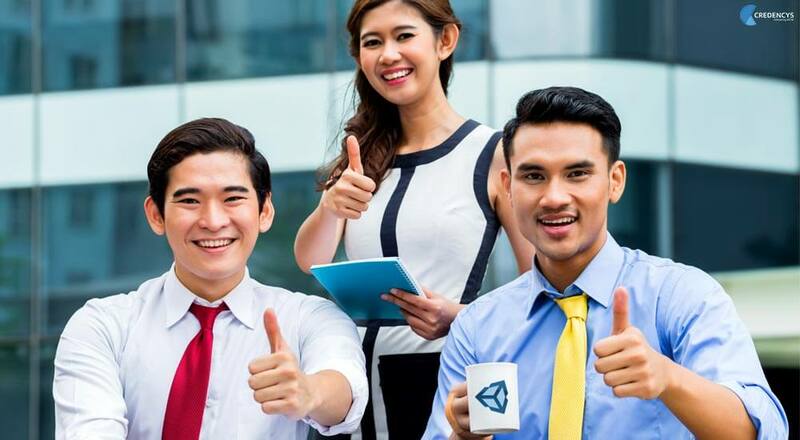 Developed by Unity Technologies, Unity 3D is a game creation system that comes with an integrated development environment for engineering 2D & 3D games with consistent graphics, amazing layout, intuitive design and engaging game play. It is widely used for developing video games for desktops, consoles, mobile devices and even websites. The Unity Free version comes for free whereas the Unity Pro can be bought for a fee. With the integration of different social media platform SDKs, Unity supports all the relevant features of the websites with consistency. The unity graphical editor makes it easy to design, layout unity scenes, insert objects, scripts, light effects, etc. It reduces development time significantly. Unity has a very low learning curve and can be adopted by the developers seamlessly due to the abundant Unity documentation. Multilingual texts and video tutorials are available that make it a great experience. Unity scripting is uncluttered and straightforward that brings fast iteration and execution of the programming environment. It’s easy to use, debug and design simple co-routines. With OpenGL graphics API, Unity offers incredible graphics across all platforms it supports. You can easily and rapidly publish games on any platform. Developers only need to select a platform, press a ‘Build’ button, save the game and Unity 3D builds it. Using Unity 3D, it becomes handy to track and deal with bugs, otherwise, developers have to do QA & testing separately for apps published on different platforms. With Unity 3D, you can export a game to 17 different platforms including- iOS, Android, Windows, Web, Playstation, Xbox, Wii, and Linux. Unity cross-platform game engine also helps to distribute the apps to the appropriate stores and track user analytics. Development can be accelerated with the asset store. One can easily peruse a wealth of ready-made artworks, scripts, visual programming solutions, editor extensions and much more. Unity facilitates smooth deployment of multiplayer games online with real-time interaction, chat, sharing scores, etc. The single player game can be turned to multiplayer game with few changes in the existing code and complexities of real-time networking are easy to negotiate. Unity community comprises of forums, feedback, answers and issue tracker which provide developers a stage where they can share the knowledge, experience, have the discussion and sometimes, may even get the help. Unity 3D game engine is the magic bullet for game developers. Leveraging the power of this cross-platform tool, realistic and interactive solutions can be built to take gaming to a new level. It is the ultimate rendering engine integrated with wide range of tools that has made game development a breeze! Has Unity 3D added value to your game design and development process? Share your views or thoughts below.